Plagiarism: What Can You Do If Your Web Content Gets Plagiarized? No matter if you’ve created your web content by yourself investing your own time and energy, or you’ve invested real money and paid a professional copywriter to do all the writing for your website, seeing the same content on someone else’s website can really be frustrating. Some people think what’s on the Internet can be fairly used, but forget on the fairly part when they should credit the original author. Plagiarism has become a serious problem on the Internet, and recently Google and other popular search engines decided it’s time to put an end of this behavior since it hurts their efforts to bring quality results to the end users. Google’s latest Panda update changed the way webmasters look at content now putting quality among the highest criterions, since duplicates can significantly damage their website authority and search engine rankings. You can put a stop to it and protect your website copy from content scrappers before your website gets damaged since the Internet has made catching these predators easy, but you have to get familiar with the copy-rights you have in order to be able to enforce them. Some people are not even aware they have copyright rights; that from the moment they first started publishing on their website their work has been protected by copyright laws. Check local or government sources, maybe visit some seminars covering this law area, or get an advice from a professional attorney so you’ll be better informed. How to Check if Someone’s Using Your Content? You can check whether someone is stealing your web content if you Google search parts of your most unique sentences, or if you copy/paste your web page URL into duplicate content checker PlagSpotter and read their detailed report on the matching content. If your page is the only one that shows up in the results, your content is safe for now; but if there are also other pages that appear for the same unique text excerpts you should click the links to see how they’ve used your copy. If they’ve properly cited the content and linked back to your original post they are actually helping you reach wider audience, and these backlinks can also improve your ratings, particularly if they are coming from a popular website with good online reputation. What Steps Can You Take if You Find Out Someone’s Using Your Web Copy? First try to contact the webmaster or the company behind the website. Check the footer section for an e-mail address and send a nice message providing all the information that proves you are the owner of the original copy and requesting them to remove it from their website. It doesn’t always have to be intentional; sometimes website owners are tricked by their own unscrupulous copywriters. In most cases like this the content will disappear from the plagiarist website and some will even send an apology email, but it’s all fixed with the first contact. If the email doesn’t work, you can check the domain at Whois.com to find the owner’s name and phone number and directly contact them to immediately take off the copied content. The next step includes informing the hosting company (whose information you can also find on Whois) of their client’s copyright infringement, and if you can prove this content violation most hosting companies will immediately remove the plagiarist website, particularly if more serious. If this all gives no results, you can send a formal “Cease and Desist” letter, or even exercise your rights under the Digital Millennium Copyright Act and file a DMCA complaint directly to major search engines like Google and Yahoo. To prove your web content is the original and existed first you can visit the Internet Archive Way Back Machine and check which content was first indexed. Now, here comes the twist, how can the businesses make use of this power of Facebook in increasing the visibility of their brand ? 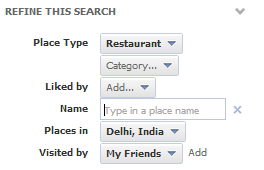 The answer lies in Facebook Graph Search Optimization (GSO). This is similar to SEO, the only difference is that it only optimizes your presence on Facebook and not on the search engines. 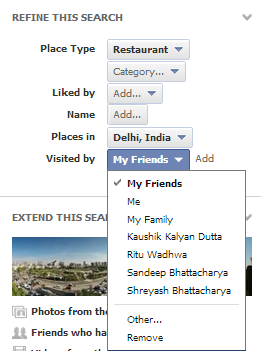 Facebook makes use of its own data shared by its billion user database. This is an enormous chunk of data which it can heavily rely upon. Before, I share the tactics you will use to gain greater visibility on Facebook, let us first understand how this works? 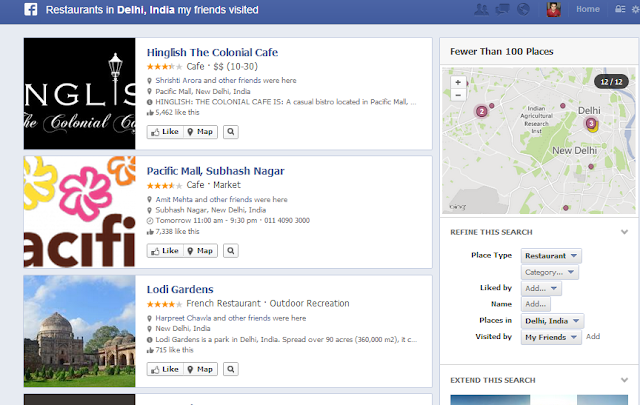 How Facebook Graph Search Works? 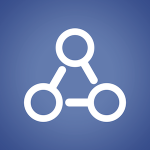 Graph Search works by finding out a semantic relationship of the user query which are not just keywords but a keyphrase intended to find the exact information based upon the user's network of friends. The search query limit is of 112 characters. 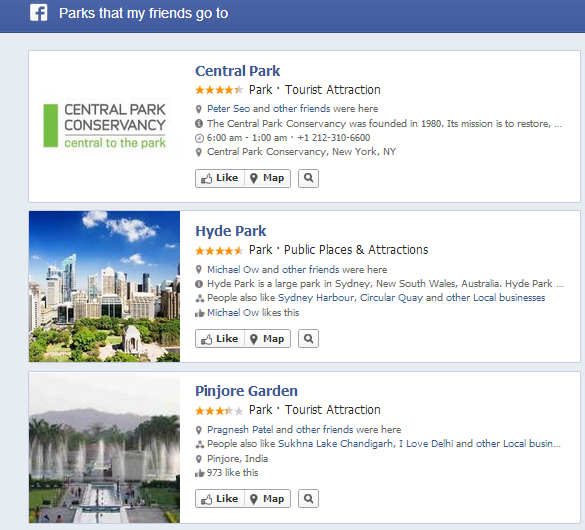 It finds information on objects like Pages, Public Posts, Groups, Applications, Events etc. It applies filters bases on user's network of friends and presents the results accordingly. Suppose we search with the query "Restaurants in Delhi, India my friends visited", Facebook returns the following results which consists of Pages. I conducted a small research today, in order to find out the relevancy of results returned by Google and Facebook Graph Search. It's bad news for Google engineers because Facebook clearly emerged as a winner. Here are the details of the research I conducted today! Search Query - "Buy Contact Details of Company"
Clearly, the results returned does not satisfy the user's query. 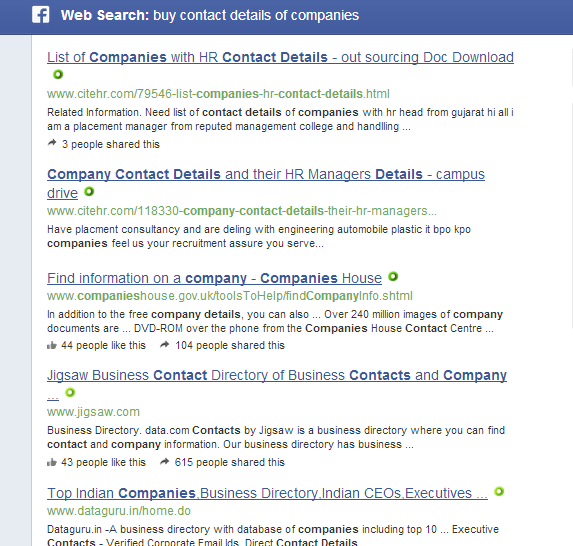 The top 6 results do not contain sites that sells database of companies. The results returned via Facebook contained information regarding where can I buy contact details of companies and also contained a results from business directories which sells company database. Result - Facebook Graph Search emerged as a winner. 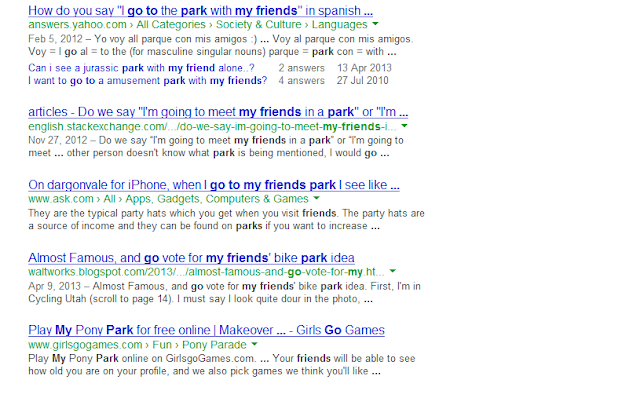 Search Query - "Parks that my friends go to"
Google returned results that were nowhere close to what I was looking for and was unable to satisfy my demands. Google lacked that semantic search ability which Facebook has slowly acquired using enormous chunk of data stored in its user database. The results were clear, relevant and completely close to what I was looking for. If Google Engineers are reading this, they need to do something and update the algorithm accordingly or else Facebook will slowly and gradually take the search engine market share away from the search giant, Google. 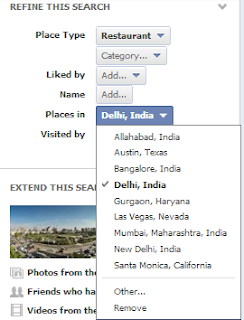 Although the research done is not so comprehensive and gives a little idea on how well the Graph Search would work for other queries but in can be taken as a start for Facebook engineers in order to present the most relevant results to its users. It can also be taken as an input for Google engineers to quickly correspond to the growing abilities of Facebook before it's too late. Ever thought of tracking more than just website like how many people use the beverage machine to drink coffee and how many of them use it to drink tea? Sounds weird? But, this is made true with the help of Google Universal Analytics which help you get a better understanding of how the users interact with your organization. The best part of this tracking system is "Multi Platform Tracking" that gives you the power to track almost anything you want to. Basically, it allows you to combine your analytics data with other customer data to make more accurate and enhanced business decisions. Some good examples are shared below that explains how you can explore the power of Universal Analytics to track almost anything you want to. You want to track the best time in your store when the maximum sale happens. You want to track how many people leave your store without buying anything. You want to track the the number of people interested in visiting "Michael's Coffee Shop" and the number of people interested in visiting "Terry's Cake Shop", when both are located in the same food mall. etc. Google Analytics Older Version Vs New Version - What's the Difference? The basic difference between old Google Analytics and Universal Analytics is the the former tracks only visitors while the latter also tracks the behavior of the user. It can track data from any web enabled device and helps to gather even the minute details of how any user is behaving and helps the organization to make business decisions accordingly. Successful tracking will happen in two parts. The first part is all that we are already familiar with when we verify any website and place tracking code in order to start tracking. 1- Click on the admin tab after logging into your analytics account. 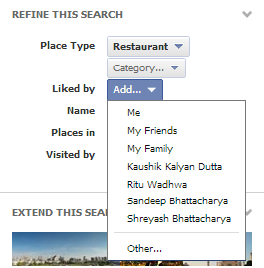 2- Click on New Account the fill in the details to set up your new web property. Step 3 - Click on "Get Tracking ID" and you will get the tracking code which you need to copy and paste on every page you want to track. You may need to use web cams and motion detectors to start tracking user behavior. 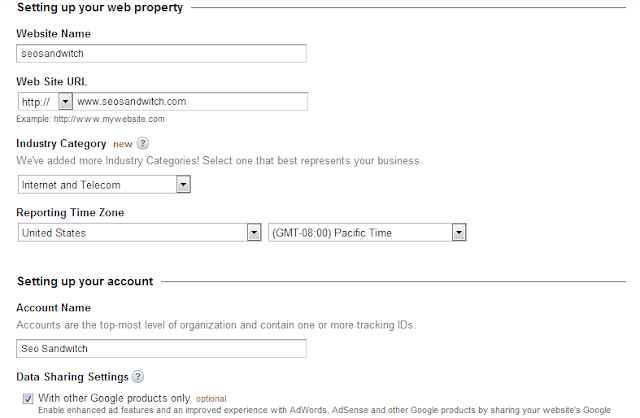 The basic point would be to find out the GA endpoint, the point which is needed to be tracked down by Google Analytics. Like when any user opens the fridge, a signal is detected and send to GA for tracking or when any user opens a door of the shop, motion cameras detect a signal and passed on the event for GA tracking. 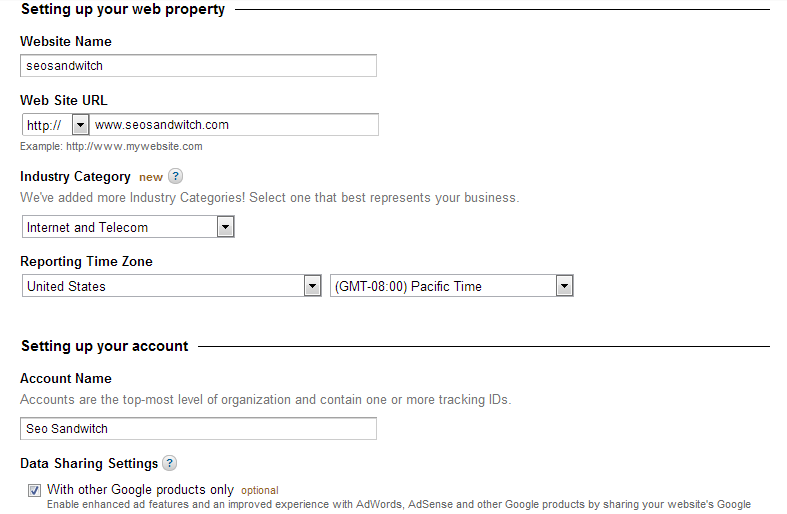 The endpoint of your tracking must be specified in order to make GA track almost anything using a web enabled device. Configuring the device would depend on your exact tracking needs so there are no predefined endpoints that can be mentioned here. However, you may have a look at the real world examples below in order to have a better understanding of this concept. Julien Coquet used Univeral Analytics to measure offline store activity like customers who walk in and out of the store including measuring the cash register transactions. He did another experiment to track your dog with GPS and UA. The Loves Data team used it measure the user behavior of who drinks Tea? Who drink Coffee? How Much, How often? Price Gabber team used it measure the consumer behavior in order to simplify the shopping experience of their consumers. Another user sharing his own experiement of how he used Wemo switch to track motion and send that data into Google Analytics to measure insights. 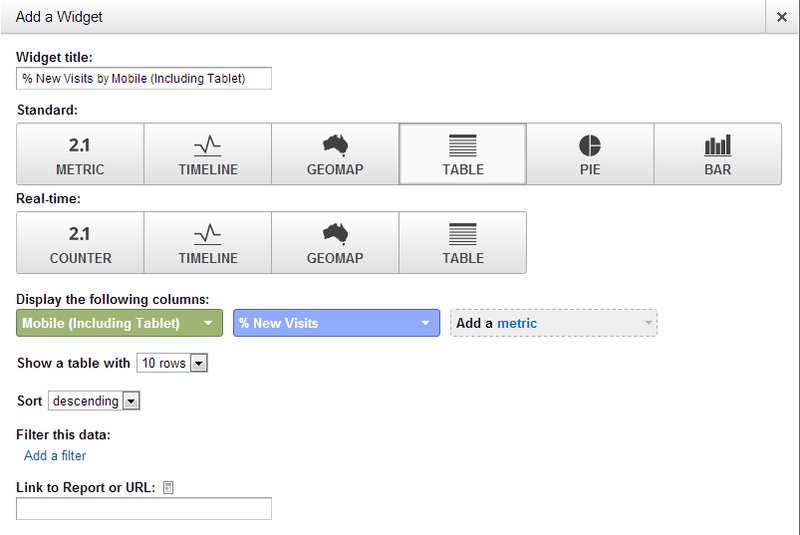 Hope you enjoyed this post about Google Universal Analytics. Search engine optimization has changed a lot in 2013. Google has made it clear that it would not count low quality backlinks, low quality content, pages specifically created for ranking high on Google, cloaking of any kind etc. Hence, the key to building a great website that ranks higher on Google is to make a website keeping in mind your niche audience so that it complete serves their purpose. Building artificial backlinks would not help your cause in 2013. Here are some of the best SEO resources for 2013 which should be read by any person holding interest in search engine optimization. How to Create Compeling Content? Google has removed the instant preview feature from the search engine result pages that enabled the web searchers to have a look at the website displayed on the search results without actually visiting it. Actually it provided a graphic representation of the web page and highlighted the important sections based on the search query. Google had launched instant previews back in Nov 9 2009 but sadly this feature has been removed. Why Did Google Remove Instant Previews? Google has removed the instant preview feature because users were not taking it seriously and Google saw a low usage rate of this feature among its users. The new search result pages will show the cached and share feature under a small green drop down button displayed under right hand side of the website titles displayed on the search results. For people who are still confused as to how can search engine optimization help a business? This post would cover every possible details that helps a business owner to understand the importance of seo for their business. How Can Search Engine Optimization Help a Business? Search Engine Optimization, simple known as Seo is a process that increases the visibility of a business website in the major search engines like Google, Yahoo, Bing etc. Most of the businesses are focussed on getting rankings on Google as it is the major player in the market having more than 70% of the market share. Having the business website ranked on the first page of Google for keywords related to your business would advertise your business infront of thousands of searchers who use those keywords to find sites that fulfill their needs. The business increases leads and these leads when targeted properly heads over to successful conversions. Conversions in return leads to profits. Hence, having seo work for your business website is an extremely important necessity for a business. Otherwise, the business would loose important leads and a major pie of the search engine search pages for the business keywords. How Many Leads Can I Get from SEO? Search Engine Optimization is a science as well as an art. A professional Seo can work for your website and increase the amount of leads with the help of search engines. The exact amount depends upon the nature of the business, place of the business and the targeted keywords available for the business. Can I Get Leads Immediately? Most of the business owners want leads almost immediately. But, Seo is a long term process which takes time to perform but gives you long term results. So, you won't get leads immediately but once you start getting it, it would be constant. Why Should I Opt for SEO And Invest Time When I can Place Ads? Seo is cost effective and can save your business lots of money. Investing in Seo is wise and can give you visible leads for a longer period of time as compared to Ads. Adwords (the Google Ads are known by the name) are costly and charges money on a cost per ad click or cost per impression basis. The biggest disadvantage is, the moment you stop paying money, your ads gets out of the search result page leaving your business confused in the middle. Opting for Seo keeps your site visible on the search results even if you stop paying for it. The reason being, Seo makes your site popular on the World Wide Web and increase the amount of trust Google has on a website. The trust keeps working and ranks your website higher up on the search results. Which is the Best Strategy to Follow? The best strategy for a business to follow is opting for both Seo and Adwords. This would secure a business for both short term and long term that would help a business to increase profits. How Small Business Can Use Google Plus to Increase Rankings? Why Patience in Seo is Important? Several webmasters provide different definitions to high quality backlinks. Some think high PR is the lone criteria for judging a website while others argue that sites having high DA are the best places to earn backlinks. But, what exactly is a high quality backlink? "A link that raises the importance of your website in the eyes of Google or other search engines is termed as a high quality backlink. " How to Check Which Link is of a High Quality? It comes from educational institutions like Universities and Schools. It comes from an authorative body within your industry. It comes from a reputed blogger sharing your industry insights. Content is the single most entity ruling the web. In order to push up your online marketing strategy, proper seo copywriting is needed as it helps in gaining good search engine rankings and increases your brand’s search engine visibility. Content that rules the web needs to be solid, comprehensive, original, user targeted, keyword laden and properly linked with little tweaks and tricks in order to handle the search engines properly. This post would help you unveil the secrets of seo copywriting which you can use to promote your website. The first step in writing a comprehensive resource is finding the demands of your niche audience. You must think about the audience for whom you are writing and do some keyword research in order to find the terms they are using to find related content. 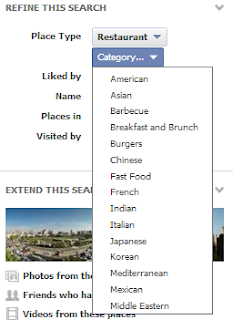 Your content must focus on their needs, as for example, if the content targets recipe lovers in Asia then use of words “gms”, “kilos”, “tsp’s” would help them serve better instead of using the word “oz”. Find out the profitable keyterms for your business and use them to shape up your writing. You may use tools like Google Keyword Research Tool, Wordtracker etc. for your research work. It is important to consider each and every related keyword including both short tail and long tail ones. Google is a smarter search engine and knows how to tackle webmasters who engage in spammy practices of writing content having too high keyword ratio. An algorithm has been specifically created by the name “Panda” to target such sites having too many keyword rich and similar content pages. Hence, it is safer to use synonyms instead of your main keyword again and again. Make sure every page you write is having descriptive titles and Meta descriptions. Title tags and Meta description tags are used by the search engines in order to gain knowledge about your main body content. Hence, make it proper, use your main keywords at the starting and also think from marketers prospective as it helps to increase the clickthrough rate. 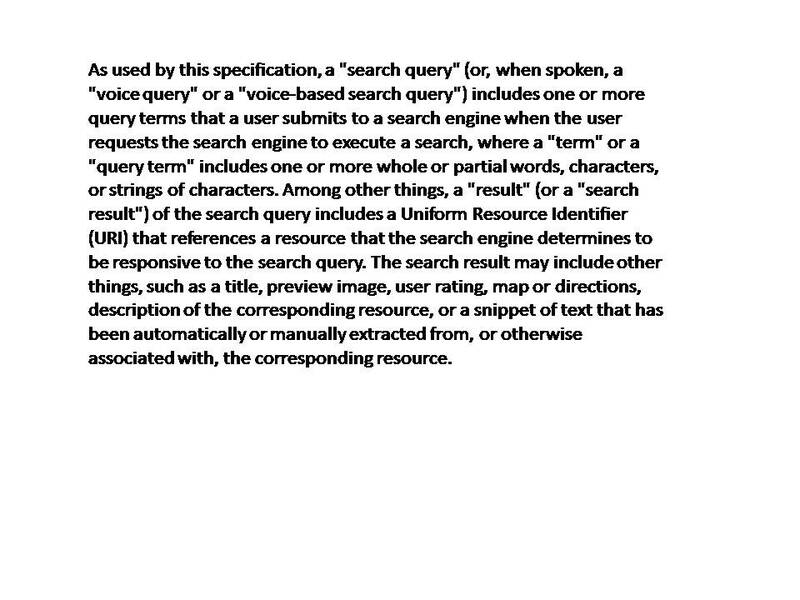 Content written for the search engines must be formatted properly using H1 tags. H stands for heading and H1 contains your main heading while H2 contains the sub heading of your content. So, in order to let the search engines identify the main focus of your article, keep the heading between <H1>…..</H1> tags. Similarly, the sub heading will go between <H2>….</H2> tags and so on. 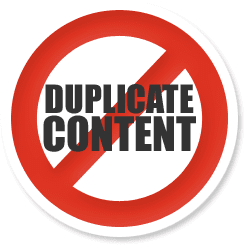 Content must fulfill the basic criteria of being original and comprehensive. Do some proper research and include references and citations wherever necessary. Remember, users love the resources that answer all their queries and the search engines always follow user’s actions. You must use internal links within your main article. This helps the users to find related content within your site and also helps to decrease the bounce rate. It is one of the most overlooked factors which help in increasing the value of your web page in the eyes of search engines. “A picture is worth a thousand words”, keeping this in mind, you must use pictures and videos in your content. Users find it easy to browse videos and gain knowledge out of it. This also helps to increase the time spent on the site by the users and makes your website more valuable in the eyes of the search engines. Always leave scope for user engagement in the form of user comments. Participation of the user is necessary in order to make it look more authentic and user friendly. Some users even share useful points which you might have missed out in your main article and this helps in making your content even more comprehensive. Proofreading your content is necessary. Users hate to spend time on a site that is poorly written and contain spelling and grammar mistakes. Hence, take ample time to proofread your article before you publish it. Remembering the points discussed above will surely help you in making your site rank higher up on the search engines. Step 1- Login to your Google Analytics account. 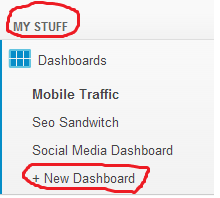 Step 4- Provide a name to your dashboard. As an example, we will create a simple dashboard for tracking mobile traffic through mobile devices and give it the name "Mobile Traffic". Step 5- Now start adding widgets which you want to show in your dashboard. 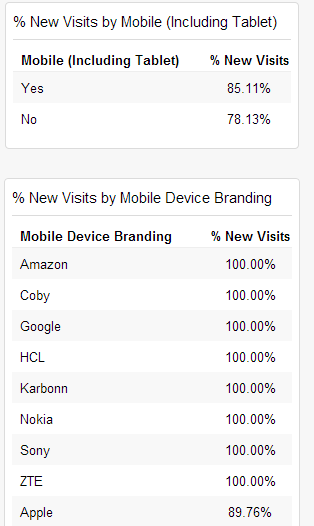 Step 6- As for example, we will add percentage of new visits by mobile device branding. 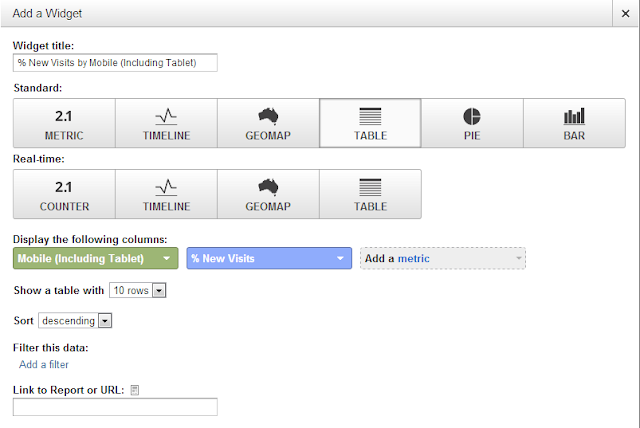 We will click on table, then choose dimension "mobile" and metric "percentage of new visits". 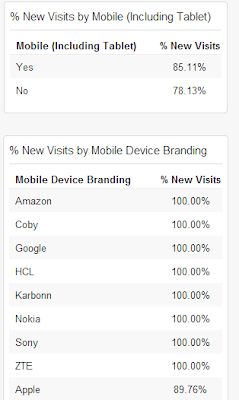 Step 7- Next, we will add another metric % of new visits by Mobile. 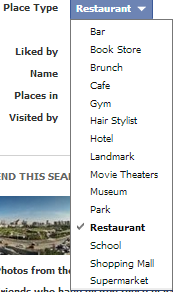 The process would be the same, we will click on table, choose mobile (including tablet) from dimensions drop down menu and % of new visits from add a metric menu. Step 8- Our new dashboard is ready. Although this dashboard is simple but still it gives you an idea how to create dashboards in Google Analytics using the metrics you want to display. Adding Thousands of Pages At Once to a Site - Does Google Counts it As a Spam? Some large sites like news websites may feel the necessity to add several thousands webpages on the site all at once. Will Google count it as a spam? Well, Google will activate the manual web spam team to have a review of the website. But, in simple words, algorithms can take it as a spam so it is safer to add webpages in stages rather than adding them all at once. Have a look at this video from Matt Cutts. Google makes use of the "Trust Rank" factor while ranking web pages. Sites that are having high trustrank are ranked higher up on the search engine results while low trustrank sites are ranked lower. This post would help you learn about the ways to increase the TrustRank of your website. In simple words, trustrank is a numerical value that is assigned to each and every web page after carefully considering several factors which help the users in getting more trusted information through sites listed by the search engines. 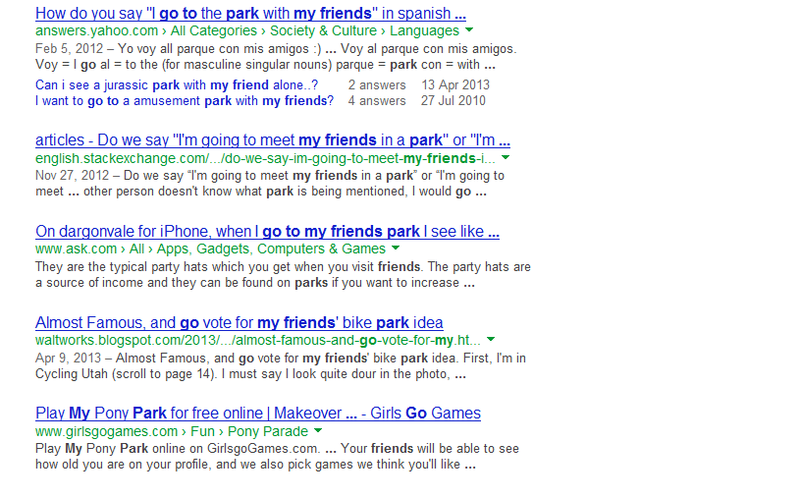 Google always want its users to present the most relevant and high quality search results. Trustrank helps Google to find the most trusted sites in order to present before the users. If your site has a high trust rating in the eyes of Google then it will surely enjoy high search engine positioning. 1- Increase Backlinks from sources already trusted by Google. Sites that constantly rank high and receive the maximum search traffic hold the maximum trust. 2- A good criteria to judge the quality of a site is measuring both the domain authority and the Pagerank. 3- Sites having backlinks from Wikipedia are good sources of backlinks. Wikipedia itself is a good source of getting a backlink. Don't worry if the link is nofollow, search engines still uses the information in reviewing the quality of the web page even though they do not disclose it. 4- Get backlinks from aged domains. Aged domains are known to have high trustrank. 5- Include Google authorship information on your site. Increase your author rank and you will see the improvement in your site's trustrank. 6- Include proper contact information on your website. If you are an ecommerce site owner then have a secured socket layer certificate. 7- Increase the amount of trust in the minds of your customers, increase your brand value so that brand related searches gets increased. 8- Proper calculation of trustrank involves manual review and identification. Hence, genuine backlinks, user friendly website, accurate information presented on the site etc. all help in improving the trustrank. 9- If your site is related to the medical industry then ask yourself- "Do the users trust the information presented on the site?". If the answer is yes then probably you will increase your trustrank soon. 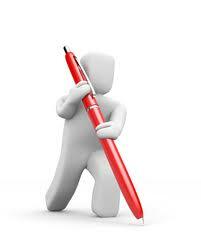 Best way is to get quality, comprehensive and well cited information on your site. 10- Get backlinks from your associated industry bodies like Chamber of Commerce. Low Quality Backlink Profile Asking for Trouble? How Small Business Can Use Google Plus to Improve Rankings? "There are around 400000000 Google Plus users in the world"
"100000000 users are active on Google Plus on a monthly basis"
"625000 new accounts are created every day"
"It is important for a local business to have a Google Plus page as it helps to add valuable content to your Google places page"
"Merging your Google Plus business page with your Google local listing makes local listing more dynamic and engaging to potential customers". 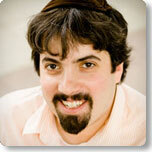 How to Make Full Use of Google Authorship Markup? The last tag helps to locate the default page for the rest of the users who are not targeted specifically. Google Ranking Fluctuations - Why Does it Happens for New Pages? Webmasters often see an interesting trend of Google rankings for new pages. Fresh and relatively new pages are ranked highly for a specified period of time and then they gradually loose the rankings. This trend of getting good Google rankings and losing them overtime confuses the webmasters. Matt Cutts has come up with a video which explains the reason for this sort of behaviour from Google. The short explanation for this sort of behaviour is that Google takes some time to judge the relevancy of new pages and compares it with older pages. New pages created on newsworthy topics like some latest news receive a boost in rankings and then gradually loose the rankings when more and more webpages start competing with each other on the same topic. Hence, the more competing pages on the same topic gives way for the loss in rankings over time. Google has been granted a patent that will help to unveil the likes and tastes of people with similar voice accent like Spanish, English, Hindi, French etc. 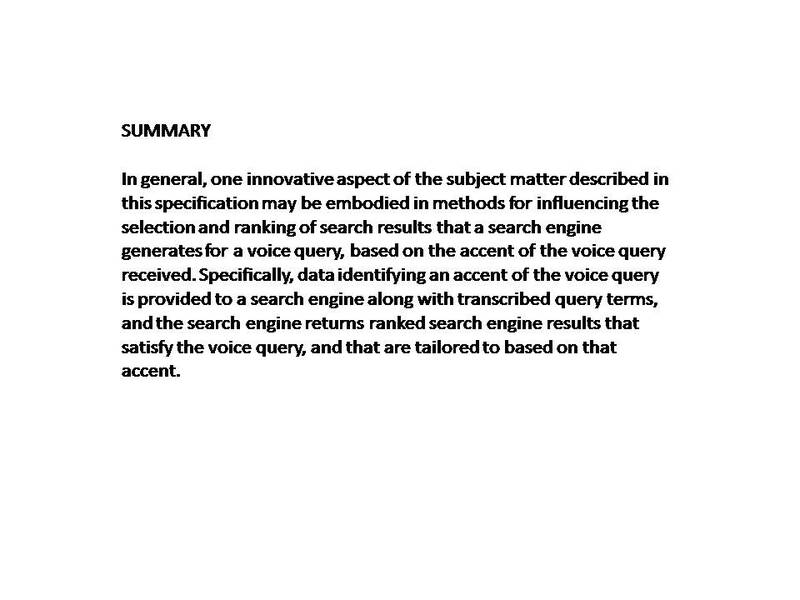 and present search results based on the voice input gathered using voice queries and then comparing it with accent data stored across their servers to determine the most relevant results for presenting it before the user. 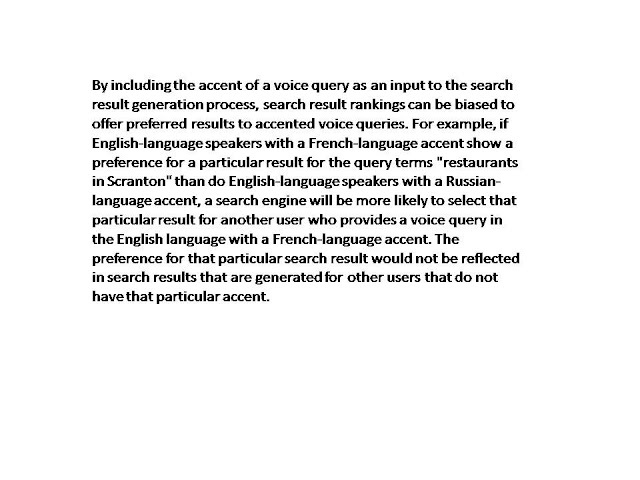 This technology is a little more useful than Automated Search Recognition which treats voice as noise and eliminates it altogether. 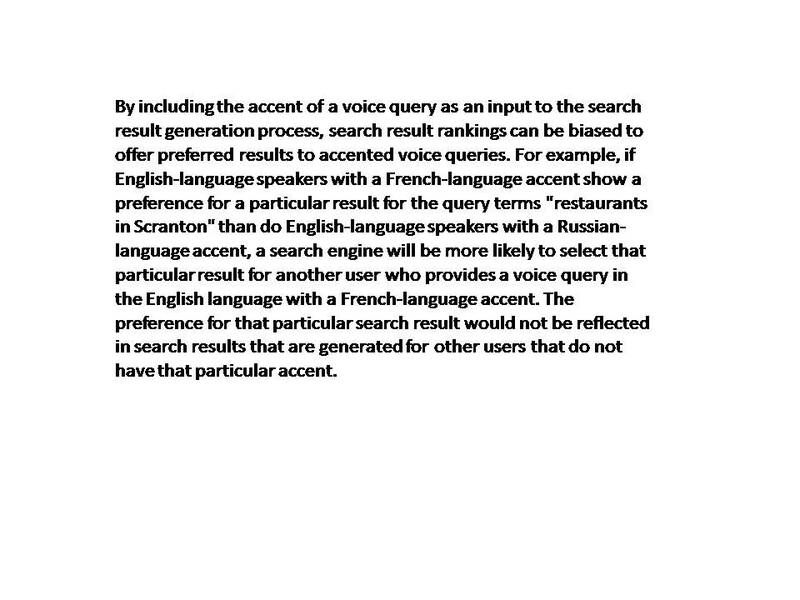 But, recognizing voice accents while processing voice queries can be a great signal to present the user with filtered results based on the accent of the user. This is what is known as "Accent Influenced Search Results"
"Specifically, data identifying an accent of the voice query is provided to a search engine along with transcribed query terms, and the search engine returns ranked search engine results that satisfy the voice query, and that are tailored to based on that accent. "